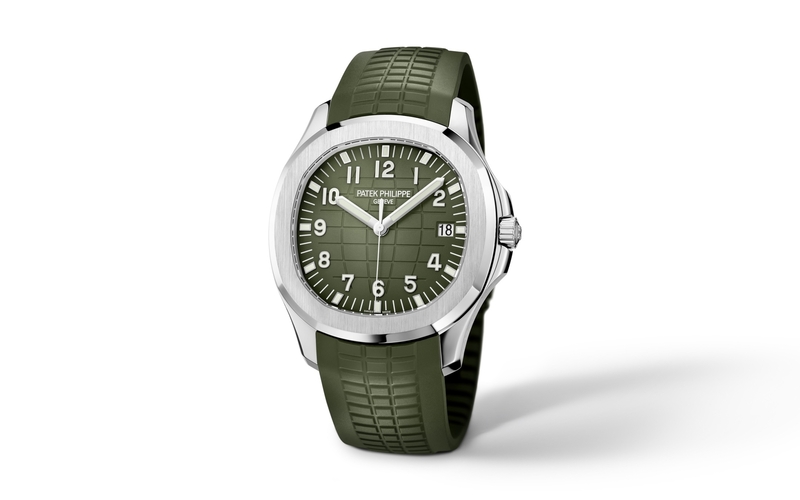 Reputedly made as a tiny run of just three watches, the original Aquanaut with a khaki green dial was a ref. 5167A with a stainless steel case (and Sotheby’s sold one for just over US$50,000 four years ago). 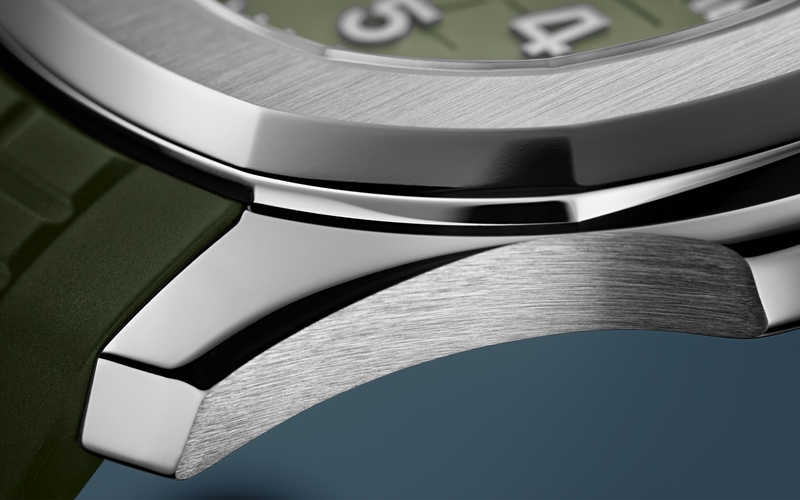 Now the green dial has returned in the “Jumbo” Aquanaut series with the ref. 5168G-010 in 18k white gold. The new Aquanaut is only the second of the 5168 reference, following the first, which had a dark blue dial, released at Baselworld 2017 to celebrate the Aquanaut’s 20th anniversary. 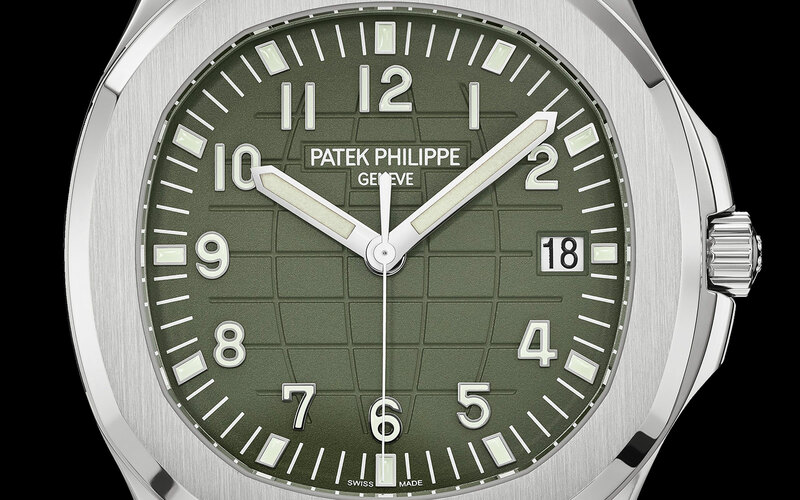 As with all current Patek Philippe watches with applied numerals, the hour markers are solid gold, in white to match the case, and filled with Super-Luminova. 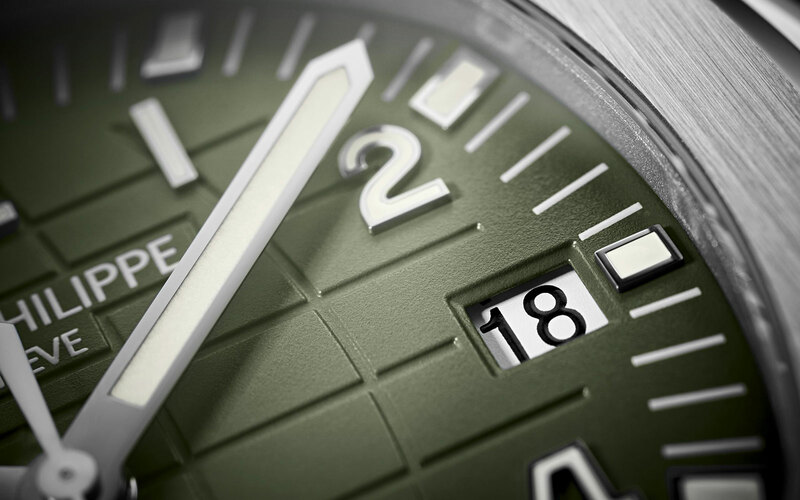 The contrast of the sporty green dial against the white gold case epitomises the modern idea of a sports luxury watch, and is somewhat reminiscent of last year’s Aquanaut Chronograph ref. 5968A in terms its younger, brighter colour palette. The “Jumbo” Aquanaut case is 42.2mm, noticeably larger than the standard Aquanaut’s 40mm, giving it significantly more wrist presence, especially in the new colour. Movement-wise, nothing changes; it’s the same movement in the original Aquanaut “Jumbo” and also the smaller Aquanaut ref. 5167A. The ref. 5168G is powered by cal. 324 S C, characterised by a central rotor in 21k gold. The Aquanaut ref. 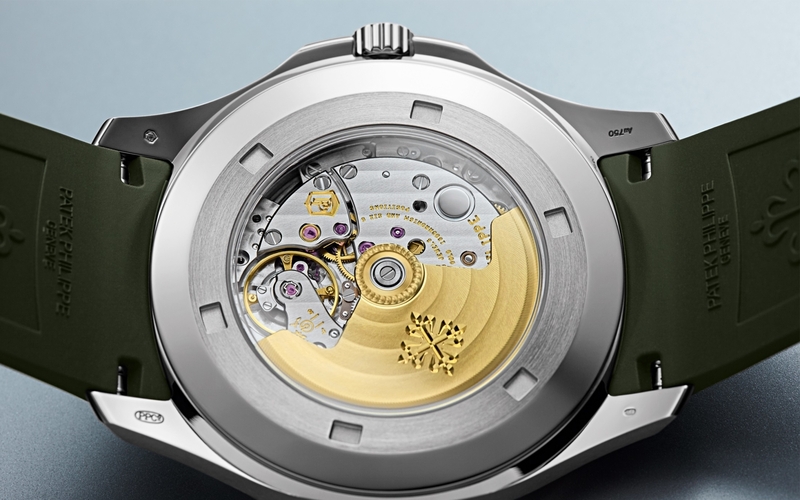 5168G-010 is priced at 35,000 Swiss francs, which is about US$35,000. 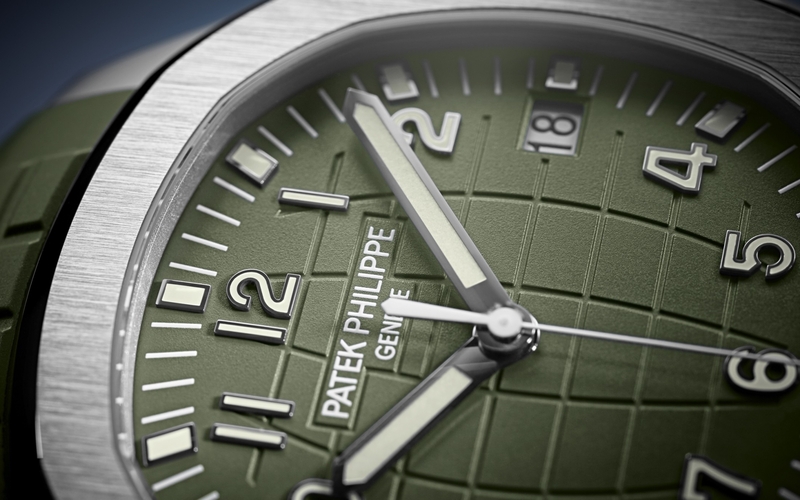 A revamp of its classic chronograph.